Recognizes a protein, which is identified as HGAL. 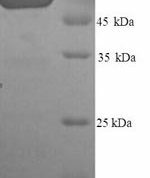 It contains a putative PDZ-interacting domain, an immunoreceptor tyrosine-based activation motif (ITAM),, two putative SH2 binding sites. 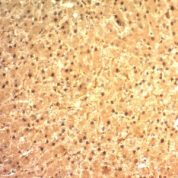 In B cells, its expression is specifically induced by interleukin-4. 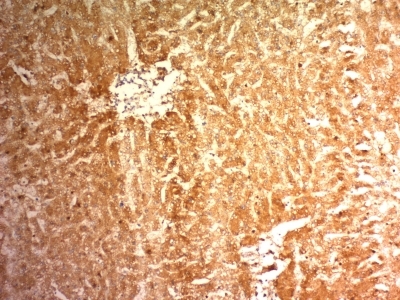 HGAL is specifically expressed in germinal center B-cells, but is absent in mantle, marginal zone B-cells, in the inter-follicular, para-cortical regions in normal tonsils, lymph nodes. Its high degree of specificity for germinal center B-cells makes anti-HGAL an ideal marker for the detection of germinal center-derived B-cell lymphomas. 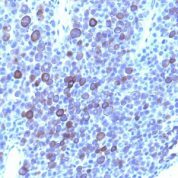 HGAL expression has been used to help elucidate nodal marginal zone lymphoma (NMZL) from cases of diffuse follicle center lymphoma. 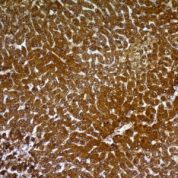 Additionally, HGAL expression was shown to correlate with survival in patients with diffuse large B-cell lymphoma (DLBCL).